Frankie Edozien has directed the Institute’s Ghana based ‘Reporting Africa’ program since 2008. He is a journalist who honed his skills writing about government, health and cultural issues for a variety of publications. He is the author of the 2017 book Lives of Great Men, a Lambda Literary Award winner. ‘Lives’ is an exploration of the lives of contemporary LGBTQ men and women on the African continent and in the diaspora. His “Shea Prince” was shortlisted for the 2018 Gerald Kraak Human Rights Award and his “Forgetting Lamido” was anthologized in Safe House. His work has appeared in The Times (UK), Vibe magazine, Time Magazine, Transitions Magazine, Out Traveler, Blackaids.org, The Advocate, Quartz, New York Times, Jalada and more. Edozien was awarded New York University’s Martin Luther King, Jr Faculty Award in 2017 for excellence in teaching, community building, social justice advocacy and leadership. 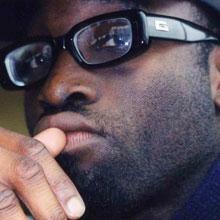 In 2001, he co-founded the AFRican Magazine and served as the editor-in-chief. He has traveled around the world reporting on the impact of HIV/AIDS particularly among Africans and is a 2008 Kaiser Foundation fellow for Global Health Reporting. He is a contributor to the Arise News Network where he reports weekly on issues in sub-Saharan Africa.